In the design world, videos are super trendy right now. They are everywhere. They are in your Instagram feed, on your favorite brand’s website and in blog posts. We want to try to implement high-quality videos wherever we can. Why? Because they are relatable. Seeing a video creates an instant connection with your viewer/audience—and that’s important when you want them to believe your mission. 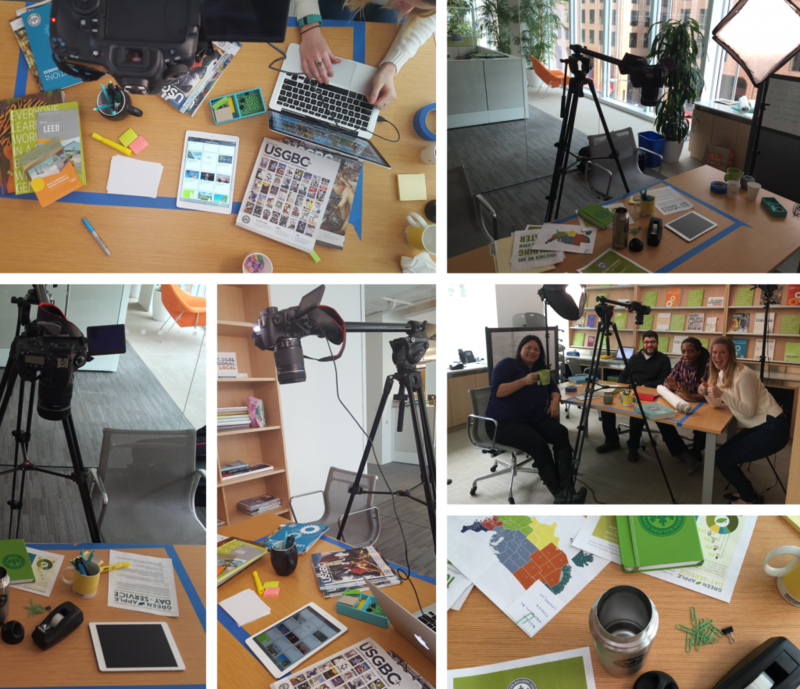 So what really goes into shooting a video in-house? Step 1: Ideas and brainstorming. The first step is figuring out your end goal. Look around and find examples—visualizing what you want makes it easier to execute. Step 2: Storyboard it out. I’m a huge believer in mockups, sketches and storyboards. Doing this before you get started on the actual project allows for mistakes, realizations and edits. Step 3: Test shoot. I am also a huge believer in testing out your idea before you get too deep into the project. For this particular project, we did a test shoot for an hour to try out a couple ideas. It allowed me to actually edit some things within the project, and raised a few questions I needed to bring to IT about our final video product. Without the test shoot, we might have wasted some precious shooting time. Step 4: Schedule your shoot. This means scheduling your space and all your actors, as well as checking out your equipment. For this project, our actors were really just hand models. But we had to make sure they were both willing to participate and available when we wanted to shoot. Step 5: Prepare. I can’t stress enough how prepared you should be going into the shoot day. For this shoot, I made a detailed outline of each scene that listed props, actors, timing, possible issues, opportunities, etc. And I stuck to the schedule hard-core. The worst feeling is getting into your shoot and realizing you have forgotten something. Make lists, and make sure the day before the shoot that everything you need is available and ready. Also—charge all the batteries you may need. There’s nothing worse than a dead camera when you need to shoot. Step 6: Shoot, thank your actors, edit. When you shoot, remember to take some photos of what your setup looks like. There’s always the chance you may need to go back and do some more takes at a later date, and it’s good to reference that photo for the next shoot. Don’t forget to thank your actors—or in this case, their hands. One last pro tip—do what looks good! Don’t be too afraid to improvise during your shoot. There’s no need to stick to a rigid plan. Sometimes in your head, things seem natural, but watching it on camera makes you realize you need to rethink your concept. Try something out. The worst case is you end up with some B-roll footage you might use for something else! Keep an eye on usgbc.org to see some of our video work finalized! Staying on top of design trends can be daunting. There’s so much out there, and only some of it is relevant to my job as an in-house graphic designer. How do I avoid getting tunnel vision, and keep up with what’s new? Behance really lets me see what other artists and designers like me are creating. It’s a good peek into the world of designers who may be trying out new trends, testing out new apps or using new programs. The New York Times Art and Design section is a great mix of news and art put together in a very digestible way. Sometimes it’s nice to read a page of text instead of staring at a new color palette for the coming year. Since I have my degree in advertising design, Ad Age is a resource I grew to love in college. Now that my job involves way more than just advertising, it’s nice to check out their Creativity section. They cover new logo design, packaging released in the market and new campaign strategies to reach your audience. I subscribe to Communication Arts magazine, and it provides not only visual inspiration, but some insight into the top trends in design. They focus on award-winning projects, typography that stands out and agencies that are up-and-coming. Also, they profile artists, designers, photographers and agencies. I get this magazine in the mail because…well, I think getting magazines in the mail is the best. But you can also subscribe online. Local design news is different than general design news. Reading articles about big New York ad agencies who are hitting home runs with photo shoots and large-scale campaigns can be overwhelming—and hard to relate to. It’s refreshing to see what local artists are doing and how they apply design in a more relatable context. 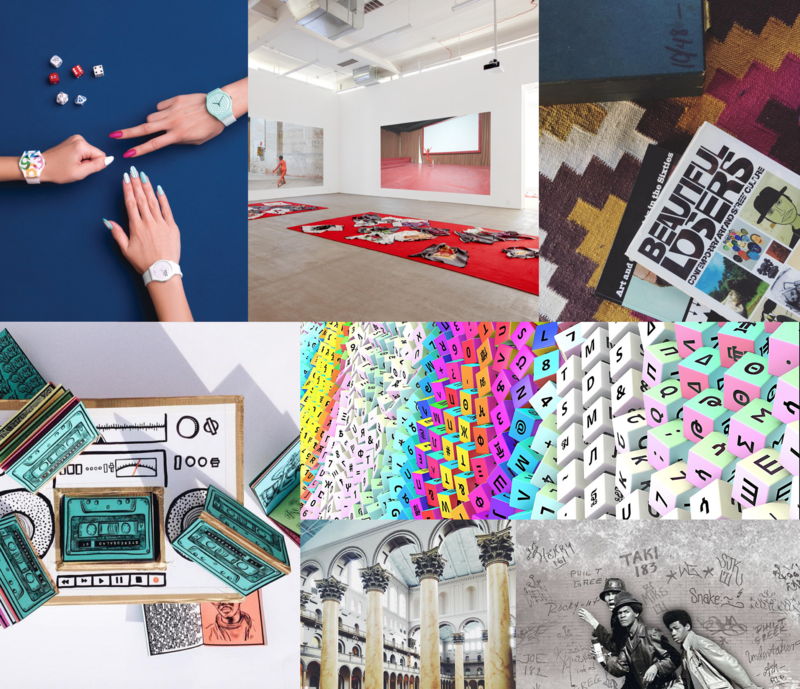 My go-to for local design “newspiration” (yep, news + inspiration is a word) is #aCreativeDC. They take the time to curate work from lots of local creative communities in the Washington, D.C. area, which means what you are seeing is diverse—and always fresh! Not only do they have a web presence, they also host in-person events that give you a chance to meet other creatives. I’m also a member of the DC AIGA design community, which is an awesome resource for local events to meet other designers and artists. I also follow Creative Mornings DC, which hosts a free monthly breakfast series for the creative community. They celebrate D.C.’s creative talent and also promote an open space to connect with like-minded individuals. Both of these local resources are a great way to meet people IRL (“in real life”) who can provide info and ideas about upcoming trends.